OMG Posters! 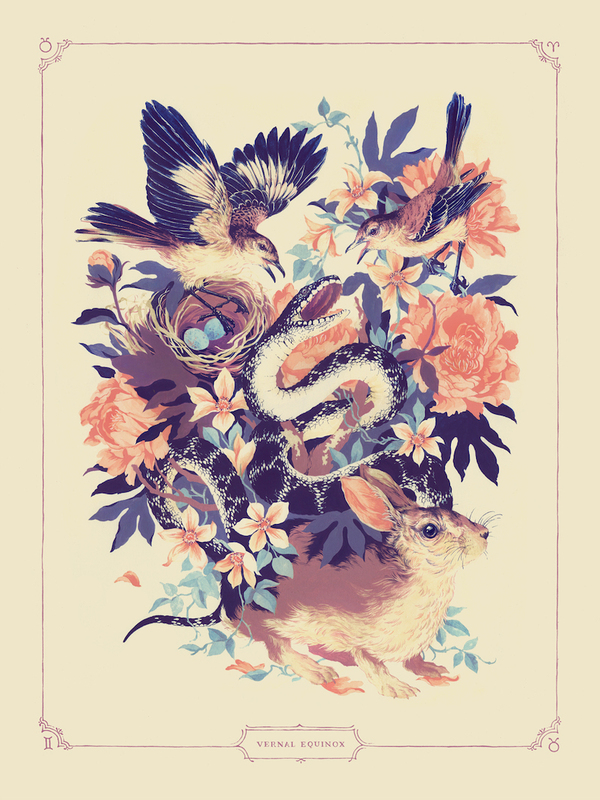 » Archive "Vernal Equinox" Art Print by Teagan White from THE VACVVM (Onsale Info) - OMG Posters! THE VACVVM will release their first art print by new member Teagan White tomorrow. “Vernal Equinox” is an 18″ x 24″ screenprint, has an edition of 100, and will cost $45. There will also be new pins and a new shirt, all featuring art by Teagan. These go up tomorrow (Friday, May 13th) at 12pm Central Time. Visit THEVACVVM.com.